Mr. Kanter is the AVP of development at the Poverni Sheikh Group, LLC. 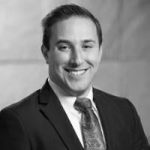 Mr. Kanter was most recently on the acquisitions team at Corporate Office PropertiesTrust (COPT) a REIT based in Columbia, MD. Mr. Kanter was involved in transactions totaling over $150 million. Prior to COPT, Mr. Kanter was involved in the development and management of 250 apartments for a local management firm Sage Management Group.